Each year, new and returning students are required to go through a confirmation process within my.UChicago to ensure that our central systems have accurate directory information and up-to-date emergency contacts, addresses and phone numbers in case of a personal emergency. 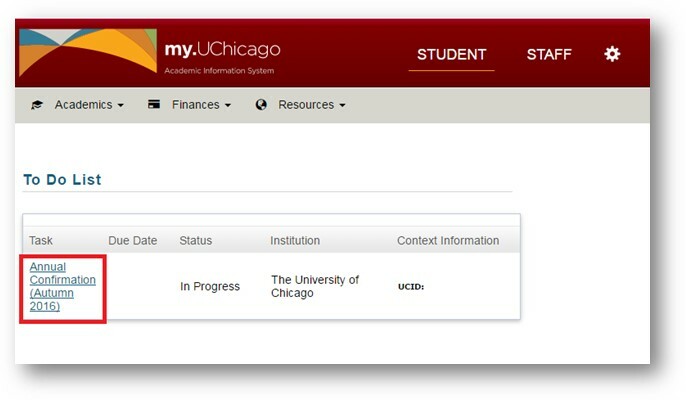 To review and complete your annual confirmation, you will need to log-in to my.UChicago. Scoll down to the middle of the homepage to find the Checklists and Tasks pagelet. 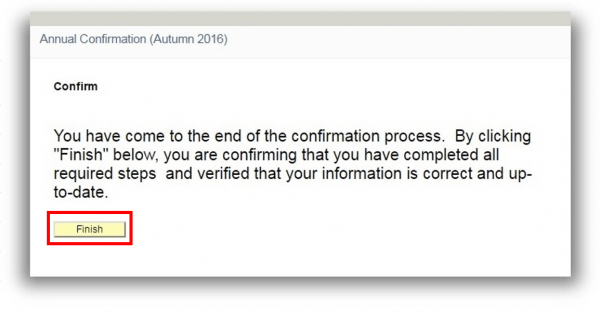 In the To Do List, click “Annual Confirmation (Term)” to begin the confirmation process. Read the introduction page and click Next in the upper right. You will be prompted to read through the Sexual Misconduct Compliance Disclosure. Once completed, check the Accept box and click Save to record that you have reviewed the information. The Next button will appear in the upper right, allowing you to proceed to the next screen. 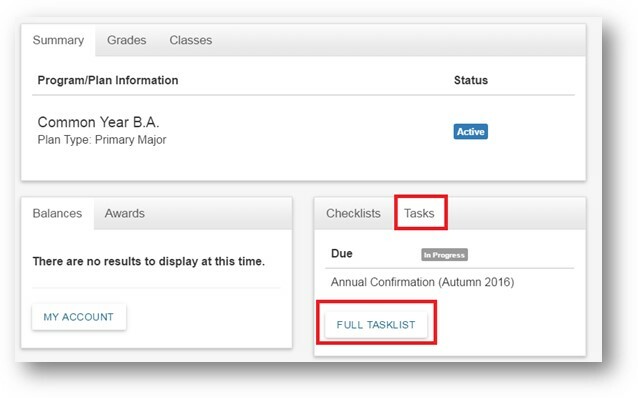 Review the My Classes Usage Agreement and indicate if you Agree or Do Not Agree, click Save, then click Next. 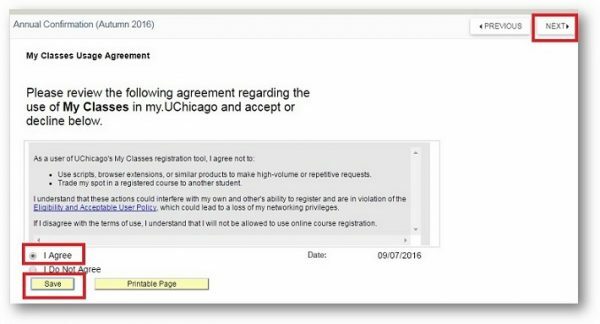 For each page after the Usage Agreement, review the information and make any needed updates. 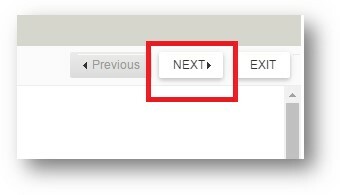 Click “Mark as Complete” to activate the Next button and move forward in the confirmation process. Once you’re reached the last screen, click Finish to complete the confirmation process.